The NRTRDE Pack is a collection of lightweight, server-side modules for processing NRTRDE files. With the NRTRDE pack you can create NRTRDE files from TAP3 files (supported TAP3 releases from 3.1. to 3.11), validate your NRTRDE files based on TD.35 validation specifications, and convert NRTRDE files into/from XML and ASCII file formats. The TAP2NRTRDE Roaming component is used to create NRTRDE files from TAP3 input files (presumably received by another PMN or generated by some other system). All possible releases of TAP3, from 3.1 to 3.11, are supported. The NRTRDE2ASCII component is used to create ASCII files from NRTRDE files and vice versa. A detailed description of the ASCII file format it uses can be found here. 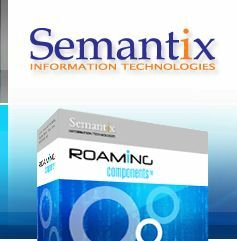 NRTRDE2XML and XML2NRTRDE components are used to create XML files from NRTRDE files and vice versa. The XSD for the generated XML file can be downloaded from here. The NRTRDE Validator roaming component is used to validate NRTRDE files based on TD.35 validation specifications. ©2001-2010 Semantix Information Technologies. All rights reserved.